Unless otherwise provided by this Act, all sums due from a society or from an officer or member and a past member or deceased member of a society as such to the Government, may be recovered according to the law and under the rules for the time in force or the recovery of arrears of land revenue. Sums due from a society to the Government and recoverable under the foregoing sub-section may be recovered, firstly from the property of the society, secondly in the case of which the liability of the members is limited, from the members or past members or the estate of deceased members subject to the limit of their liability, and thirdly, in the case of societies with unlimited liability, from the members or past members or estate of deceased members. The liability of past members or estate of deceased members shall in all cases be subject to the provisions of section 33.
any amount due under a certificate granted by the Registrar under sub-section (1) or (2) of section 101 or under subsection (1) of section 137; together with interest, if any, due on such amount or sum and the costs of process according to the scales of fees laid down by the Registrar from time to time, by the attachment and sale or by sale without attachment of the property of the person against whom such decree, decision, award or order has been obtained or passed. The Registrar or the officer empowered by him shall be deemed, when exercising the powers under the foregoing sub-section, or when passing any orders on any application made to him for such recovery, to be Civil Court for the purposes of Article 136 in the Schedule to the Indian Limitation Act, 1963. The State Government may, by general or special order, exempt any society or class of societies from any of the provisions of this Act, or of the rules made there under, or may direct that such provisions shall apply to such society or class of societies with such modifications not affecting the substance thereof as may be specified in the order. “Provided further that, the State Government shall not exempt any society or class of societies from the provisions made under sections 26, 73A, 73AAA, 73B, 73C, 73CA, 73CB, 73E, 75, 76, 78, 78A and 81.” [* Was inserted By MAH. XXIV of 1961]. The State Government may, by notification in the Official Gazette, and subject to such conditions (if any) as it may think fit to impose, delegate all or any of the powers of the Registrar under this Act to any federal authority or to an officer thereof or any other authority “and such officer or authorities shall work under the general guidance, superintendence and control of the Registrar” [* Was substituted By MAH. XXIV of 1961] specified in the notification. No society shall open a branch or a place of business outside the State of Maharashtra, and no co-operative society registered under any law in any other State shall open a branch or a place of business in the State of Maharashtra, without the permission of the Registrar. 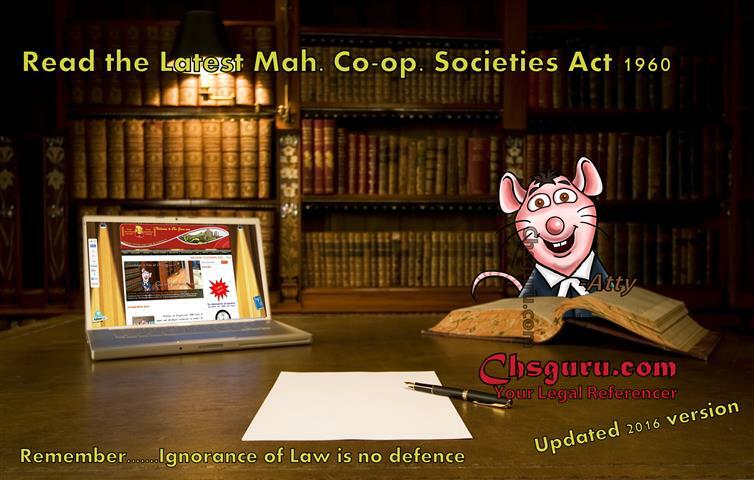 Every co-operative society registered under any law in any other State, and permitted to open a branch or a place of business in the Maharashtra State under the foregoing sub-section, or which has a branch or a place of business in the Maharashtra State at the commencement of this Act, shall, within three months from the opening of such branch or place of business or from the commencement of this Act, as the case may be, file with the Registrar a certified copy of the bye-laws and amendments and, if these are not written in English language, a certified translation thereof in English or Hindi, and shall submit to the Registrar such returns and information as are submitted by similar societies registered under this Act in addition to those which may be submitted to the Registrar of the State where such society is registered. On the election of a new Committee and its Chairman, the retiring Chairman, in whose place the new Chairman is elected, shall hand over charge of the office of the Committee and all papers and property, if any, of the society in possession of the committee or any officer thereof, to the new Chairman of the Committee. If the retiring Chairman fails or refuses to hand over charge, or to hand over the papers and property of the society as aforesaid, the Registrar, or any person empowered by him in this behalf, may by order in writing direct him to forthwith hand over such charge and property. If the retiring Chairman to whom direction has been issued as aforesaid, does not comply with such direction, he shall on conviction be punished with simple imprisonment which may extend to one month or with fine which may extend to “five thousand rupees” [* Was substituted By MAH. XXIV of 1961] or with both; and the Registrar may, on the retiring Chairman’s failure to comply with such direction, take order for seizing the records and property and handing it over to the new Chairman, in the manner provided in section 80. Notwithstanding anything contained in this Act or the rules or by-laws made there under, a member of the State Legislature or of a committee under the Hyderabad District Municipalities Act, 1956, or a member of a Zilla Parishad or Panchayat Samiti under the Maharashtra Zilla Parishad and Panchayat Samitis Act 1961, while holding the office of chairman or members of the Committee of a society to which appointment is made by the State Government, or the office of liquidator or the office of nominee of the Registrar whether appointed individually or to aboard of nominees, shall not be entitled to receive any remuneration other than traveling allowance, the daily allowance or such other allowance which is paid to the holder of any such office for the purpose of meeting the personal expenditure incurred in attending the meeting of the committee or body, or in performing any other functions as the holder of such office. Subject to the provisions of section 160A, no member of the committee of any society shall be entitled to receive from the society the traveling allowance, the daily allowance or such other allowances of fees which are paid to the members for attending meetings of its committee, or for performing any other functions as such members, at a rate higher than the maximum rate prescribed in this behalf and different maximum rates may be prescribed for different societies or class of societies or for different purposes. The Registrar, a person exercising the powers of the Registrar, an officer as defined in clause (20) of section 2, or a person appointed as an Official Assignee under sub-section (2) of section 21 A, "State Co-operative Election Commissioner and officers, employees and staff employed under sub-sections (7) and (8) of section 73CB" [* Was inserted By MAH. XXIV of 1961] or as an Administrator under section 77A or 78, “78A or clause (iii) of sub-section (1) of section 110A” [* Was inserted By MAH. XXIV of 1961] or a person authorised to seize books, records or funds of a society under sub-section (3) of section 80, or to audit the accounts of a society under section 81 or to hold an inquiry under section 83, or to make an inspection under section 84, or 89A or to make an order under section 88, or a person appointed as a member constituting a Co-operative Court under section 91A or the Co-operative Appellate Court under section 149 “or any officer empowered under section 156” [* Was inserted By MAH. XXIV of 1961] or a Liquidator under section 103, shall be deemed to be public servants within the meaning of section 21 of the Indian Penal Code. 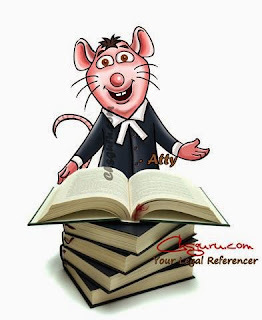 No suit, prosecution or other legal proceedings shall lie against the Registrar or any person subordinate to him or acting on his authority, in respect of anything in good faith done, or purported to be done by him by or under this Act. Any matter concerned with the winding up and dissolution of a society. While a society is being wound up, no suit or other legal proceeding relating to the business of such society shall be proceeded with or instituted against the society or any member thereof, or any matter touching the affairs of the society, except by leave of the Registrar, and subject to such terms as he may impose. All orders, decisions or awards passed in accordance with this Act or the rules shall, subject to the provisions for appeal or revision in this Act be final; and no such order, decision or award shall be liable to be challenged, set aside, modified, revised or declared void in any Court upon the merits or upon any other ground whatsoever. The State Government may, for the whole or any part of the State and for any society or class of societies, make rules for the conduct and regulation of the business of such society or class of societies, and for carrying out the purposes of this Act. Prescribe the manner for entering into collaboration by any society or societies with any Government undertaking or any undertaking approved by Government for carrying on any business. Prescribe the conditions to be complied with by a person applying for admission or admitted as a member and provide for the election and admission of members and the payment to be made and the interests to be acquired before the exercise of the right of membership. Prescribe the amount and nature of the security to be furnished by any officers or employees of any society or class of societies, who are required to handle cash, securities or property belonging to the society, the maximum amount of cash which may be handled or kept at a time by any officer or employee, and the amount, in excess of which, all payments shall be made by or on behalf of the society by means of a Cheque. Prescribe for the appointment of a receiver of the produce and income of the mortgaged property for sale under section 133, the conditions in which he may be appointed or removed, the powers and functions which he may exercise and the expenses of management and remuneration which he may receive. The form and method of disposal of money by an Agricultural and Rural Development Bank under section 135. Provide for all other matters expressly required or allowed by this Act, to be prescribed by rules. The power to make rules conferred by this section is subject to the condition of the rules being made after previous publication. All rules made under this section shall be laid for not less than thirty days before each House of the State Legislature as soon as possible after they are made, and shall be subject to such modification as the Legislature may make during the session in which they are so laid, or the session immediately following. Accordingly, all societies registered or deemed to be registered under the Act repealed the registration of which is in force at the commencement of his Act, shall on such commencement be deemed to be registered under this Act; and all proceedings pending immediately before such commencement before any Registrar, arbitrator, liquidator or tribunal or other officer, authority or person under the provisions of the repealed. Act shall stand transferred, where necessary, to the Registrar, arbitrator, liquidator or tribunal or other corresponding officer, authority or person under this Act, and if no such officer, authority or person exists or if officer, authority or person as the State Government may designate and shall be continued and disposed of before such officer, authority or person in accordance with the provisions of this Act. Any reference to the Act repealed or to any provisions thereof or to any officer, authority or person entrusted with any functions there under, in any law for the time being in force or in any instrument or document, shall be construed, where necessary, as a reference to this Act or its relevant provisions or the corresponding officer, authority or person functioning under this Act and the corresponding officer, authority or person functioning under this Act and the corresponding officer, authority or person as the case may be, shall have the exercise the functions under the repealed Act or under the instrument or document. For the removal of doubt, it is hereby declared that the provisions of the Companies Act, 1956, shall not apply to societies registered or deemed to be registered; under this Act.